At this stage, the Kerry Petroleum Club Championship is well underway. The format of the competition is receiving great praise from around the county and beyond. Each weekend, there are so many competitive games being played all over the county and the CCC deserve great credit for their organisation and management of this superb competition. It is great for supporters to see the majority of the Kerry players in action with their Clubs. The CCC met on Monday night to finalise fixtures for the weekend ahead. 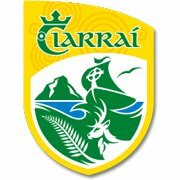 Full listings can be found on the Kerry GAA website. A reminder that the County Board produces the programme handouts for neutral venues but for all ‘home’ games, the home PRO is responsible for producing the handouts. All programmes produced by the County Board can be downloaded from the Kerry GAA website under the Clubzone section on Saturday mornings.